Rave of the moment “King Perryy” who shortly after being signed to DM Records have himself a huge fan base with his new music genre “Continental Sound” comes through new ear candy which follows hit singles ‘Man On Duty” and “Eastern Baby“. King Perryy is no doubt the young-in of the year as proven by his wide coverage across Nigeria, Ghana, Kenya, Tanzania, Ethiopia, UK, US and more with 2 singles to his name under Timaya led DM Records. 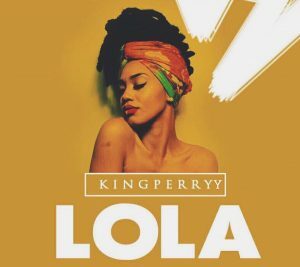 The new tune “Lola” is a freestyle by the King, Listen and Enjoy!